Cannabis has been cultivated for thousands of years, yet there is still debate about the properties and effects of certain strains. Have you ever wondered why some types of marijuana induce total body relaxation while others stimulate mental clarity and improve mood? It all comes down to the type of cannabis plant. Both Cannabis sativa and Cannabis indica are psychoactive varieties of the plant, but each has a unique structure, resin production, flavor profile, and chemical make-up. Sativa and Indica contain dozens of cannabinoids, the chemical compounds responsible for easing pain, reducing inflammation, or fighting off cancer cells. Of the more than 80 compounds, THC (tetrahydrocannabinol) and CBD (cannabidiol) are the most studied and well-known. The ratio of THC to CBD plays a significant role in the effects experienced by patients. Indica strains typically have more THC than CBD, according to research published in the American Journal of Botany. This explains why Indica delivers a more sedating effect, and preferred for night-time use. Sativa strains also tend to contain more THC, but by contrast, Sativas tend to produce alertness, energy, and an uplifting effect that gets your mind moving. With medical marijuana legalized in more than half of the United States (and counting), more people have the opportunity to make informed decisions regarding the type and strain of cannabis they purchase. Below you’ll find a quick reference on the morphology, symptom relief, and effects of Sativa vs Indica. Origins: Native to warm, tropical environs like India, Thailand, Mexico, Nigeria Colombia. Morphology: Tall with thin, narrow leaves. Symptom Relief: Helpful for treating depression, mood disorders, fatigue and ADD. Effects: Invigorating and uplifting. Sativa is recommended for day time use or when you want to be creative or physically active. Similar to drinking a cup of espresso. Flavor profile: Earthy and piney. Popular Sativa strains (not pure): Silver Haze, Blue Dream, Sour Diesel, and White Widow. Origins: Areas between 30-50 degrees latitude such as Nepal, Morocco, Afghanistan, Pakistan and Bangladesh. Morphology: Short (4 feet tall) and bushy with broad leaves and dense branches. Symptom Relief: Helpful for relieving pain, anxiety, nausea, insomnia, muscle spasms and depressed appetites. Effects: Calming, full-body sensation. Indica induces a deep state of relaxation and is preferred for night-time use. Flavor profile: Sweet and fruity. Popular Indica strains (not pure): Master Kush, White Rhino, Northern Lights, GrandDaddy Purple. There is a general misconception about Sativa vs Indica effects, as some indica strains can produce a cerebral boost, while some sativas can make you feel relaxed and even help induce sleep. With the advent of stabilized strains – both pure and hybrid – comes another variable in potential effects. Myrcene is the major terpene responsible for switching the normal energizing effect of THC into a “couch-lock” feeling. Studies have shown that strains that produce a relaxing “Indica-like” effect have high concentrations of Myrcene. So what is the real takeaway about Indica vs Sativa? 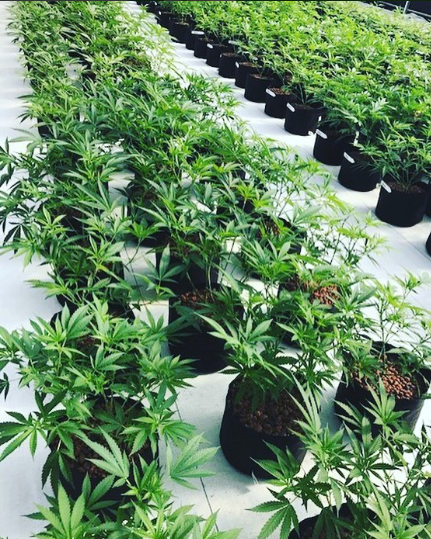 We know that growing conditions and methods can change the percentages of THC, CBD, and terpene levels in cannabis plants, leading to different effects. As cannabis laws change and more states legalize marijuana for medical and recreational purposes, there is an increased need for standardized testing regulations, which currently vary from state to state. Modern Canna Science provides a full range of cannabis testing services, giving patients and their providers reliable data on terpene profiles and cannabinoid levels. To learn more about our Florida medical marijuana testing laboratory, we invite you to browse our Cannabis Testing Resources & Information page.